If your homestead is like most , you have a few boxes of baking soda laying around. You likely keep one in the refrigerator, one in the cupboard, and maybe one in the pantry. 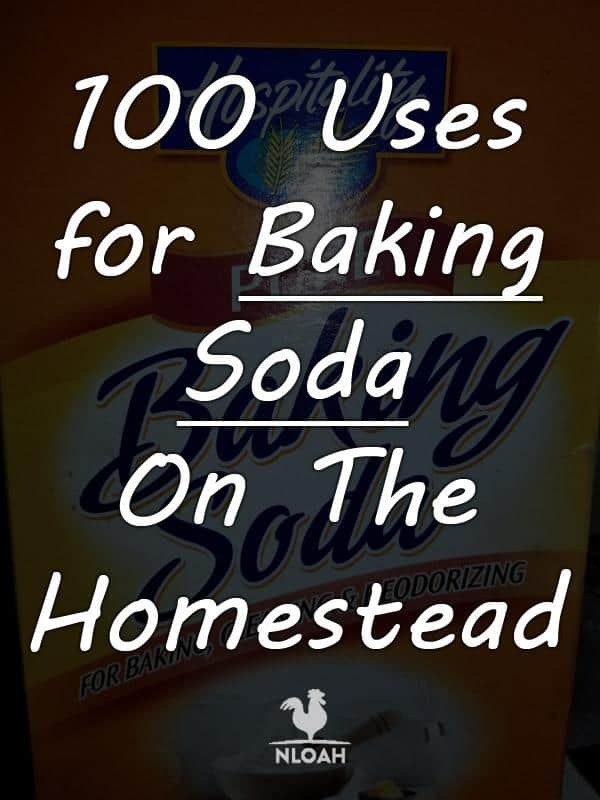 Did you know that there are well over 100 uses for baking soda in and around your homestead? Baking soda is made up of 100% sodium bicarbonate. 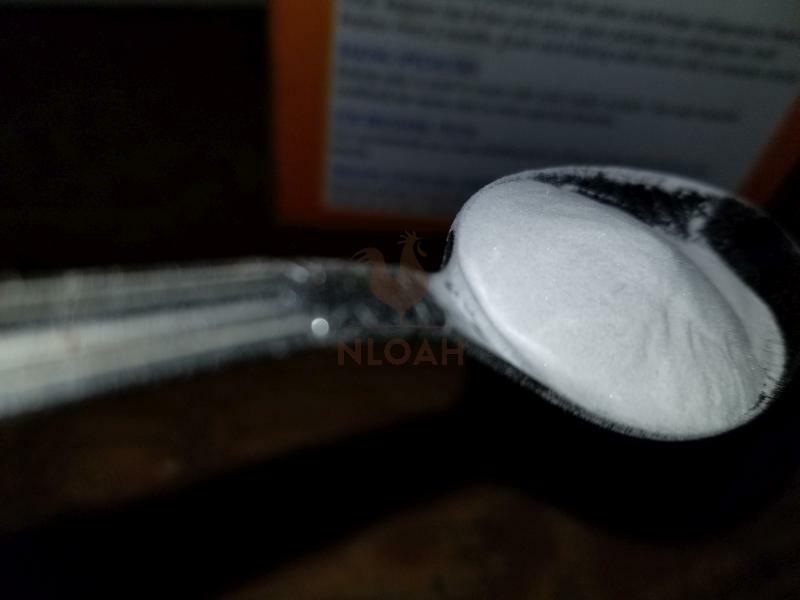 This can be used in cooking as a leavening agent, if you mix it with other ingredients, you get strong household cleaners and other products that work very well in and around your homestead, for a fraction of the cost of name brand cleaners and other products that you may already be using. Baking soda is aluminum free. It’s a natural form of nahcolite that is a mineral called natron. Natron, in and of itself, contains large portions of sodium bicarbonate. It’s been in use since ancient times and works very well. Egyptians used it as a form of soap. However, in 1846, Dr. Austin Church and his friend John Dwight started manufacturing and selling what we call baking soda today. It rapidly caught on in kitchens around the country and today, it’s considered to be a proven medical ingredient. Since you can buy it for as little as $1 per box, it’s a good deal all the way around. It may be one of the least costly things you have on your homestead and it will do so much. Let’s take a look at some of the ways you can use baking soda in and around your homestead. 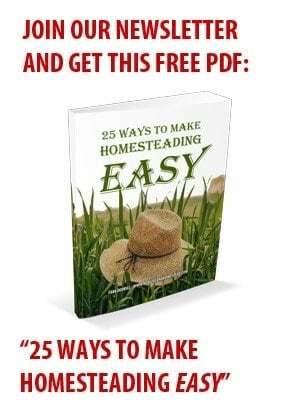 Many homesteaders are scrimping to save for on the homestead so they start out by using home remedies for many of their health and beauty aids. What better home remedy than baking soda? Baking soda has a myriad of uses in and around the homestead. Let’s start in Health and Beauty and see what uses you can use baking soda for. Antiperspirant: If you’re out, grab the baking soda and a powder puff and put some on in the armpits. Stings: If you or one of the kids or your spouse have been stung by a bee, make a paste with water and baking soda and spread it on the affected area. Bad Breath: Mix a quarter teaspoon of baking soda in some water and gargle with it. Bug Bites: Bug bites are notorious for how they make you itch. Again, apply a paste of baking soda and water to the affected areas. Canker Sores: Canker sores are painful but you can mix ½ teaspoon of baking soda, a cup of water and a pinch of salt and gargle making sure to put the rinse on the affected area of the mouth for relief. Chicken Pox: While many people have already had these, and many won’t get them due to vaccinations, there are still going to be a few cases that sneak through the cracks. To relieve the intense itching add ½ cup of baking soda to a warm bath and soak in it for 20 minutes. Pat the skin dry and avoid rubbing so that you won’t break the scabs open. Colds: To help relieve stuffy heads and noses, use a vapor mist in the shower that you’ve made from 2 cups of baking soda, 30 drops of sinus opening essential oils and carefully add enough water to make a thick “batter”. Put these in paper lined muffin tins and allow to sit overnight or until dry. Place one in a warm shower to open up the nasal passages. Dentures: If you wear dentures or a retainer, you can clean them by soaking them in a cup of warm water and 3 Tablespoons of baking soda. Rinse well before putting them back in your mouth. Detox: To detox the body from aches, pains and other ailments soak in a tub of warm water. Mix in one cup of baking soda and one cup of apple cider vinegar. Soak for 20 minutes. Facial Scrub: Mix a paste of one part baking soda and 2 parts of ground oatmeal with warm water. Gently massage into the face and leave on for five minutes. Rinse with warm water. Feet: Soak aching feet in 3 Tablespoons of baking soda and warm water for 20 minutes. Hair Care: For dandruff use ¼ to ½ cup of baking soda massaged into the hair and rinsed well. You can also use it to condition hair by adding one teaspoon of baking soda to one cup of conditioner. To remove chemicals from the hair mix one teaspoon of baking soda with six ounces of shampoo and wash hair as normal. Ingrown Hairs: Make a scrub with 1 Tablespoon of baking soda and just enough water to make a paste. Scrub the skin and rinse well. Repeat daily as needed. Heartburn: Add 1 teaspoon of baking soda to 4 ounces of lukewarm water and drink. Hives: Take a shower and use a handful of baking soda as soap and rub over the hives. They will be instantly soothed and eased. Jellyfish Sting: Make a paste of baking soda and water and apply to the sting. Mouthwash: Mix ¼ cup of baking soda with a few drops of peppermint oil and some warm water. Gargle. Poison Ivy: Make a paste of baking soda and water and apply to the affected area. Skin Care: Excellent to exfoliate simply make a paste using 3 Tablespoons of baking soda to a small amount of water and use on the skin with a circular motion. It also works well in bathwater to soften skin and soothe irritated skin. Splinters: Remove splinters by soaking the affected area in a mix of 1 Tablespoon of baking soda and six ounces of warm water. Repeat this twice per day until the splinter is out. Sinus Congestion: Add 1 teaspoon of baking soda to the vaporizer. Sunburns: Apply a thin paste of baking soda to the sunburn. Mix 1 teaspoon of baking soda with water and apply. You can also soak in a bath with baking soda to relieve the burn. Teeth Cleaning: Use a paste of baking soda and peroxide to whiten teeth. Use as a toothpaste by mixing baking soda with water to a paste consistency. Baking soda has many great uses in cooking. From putting out a fire on the stove to adding to your cooking you’ll find a variety of great uses for baking soda in the kitchen. Here are some of our favorites to get you started. Beans: Beans can produce gas, to help make them less gas producing, soak dry beans in 4 cups of water and add in 1cup of baking soda. Soak them overnight and drain and rinse well in the morning then add water and cook just as you normally would. Chicken: If you’re cleaning chickens on the homestead you likely hate plucking the feathers. Make the feathers easier to remove by dipping the chicken in a pot of boiling water that has 1 teaspoon of baking soda in it. Plunge into cold water and pluck feathers. Repeat as needed. Eggs: Add baking soda (¼ to ½ teaspoon ) to 3 eggs to make scrambled eggs fluffier. Fish: Soak raw fish in ¼ cup of baking soda and 2 cups of water to reduce fish odor. Allow fish to soak for about 3 hours. You can also place a jar lid on the kitchen counter and place some baking soda in it to help absorb the odors. Fruits: Wash fruits in a sink of cold water mixed with 1 cup baking soda. Vegetables can also be done this way. Meat: Tenderize your tougher cuts of meat by massaging them with baking soda and allowing the meat to stand for about 2 or 3 hours in the refrigerator. Rinse well and cook as normal. Sports Drinks: If you’re in need of a sports drink to balance electrolytes or rehydrate, dissolve 1 teaspoon of baking soda, 1 teaspoon of salt, 1 package of unsweetened juice mix and 4 Tablespoons of sugar into 2 quarts of lukewarm water. Allow to cool and drink as you would any sports drink to replace electrolytes. Substitutions: To make baking powder, add 1 Tablespoon of cornstarch, 2 Tablespoons of cream of tartar and 1 Tablespoon of baking soda. Blend well and use as recipe calls for. Tea: Add a pinch of baking soda to a gallon of tea to eliminate cloudiness. Tomatoes: Tomatoes are very acidic. To lower the acid content, add a pinch of baking soda to the tomatoes. Wild Animal/Game: Many people hate the wild flavor that wild game can have. To get rid of this soak them in a solution of 4 cups of warm water and 1 cup of baking soda. Soak for 3 hours and rinse well and prepare as normal. There are a myriad of uses for baking soda in the kitchen. It’s not only used for cooking, there are some other great uses for baking soda in the kitchen that many homesteaders don’t even consider. Baby Bottles: You can use it to clean baby bottles by soaking them in a solution of baking soda. Deodorize: Deodorize the refrigerator by wiping the refrigerator out with baking soda and leaving an open box of baking soda in the refrigerator. Cast Iron: Clean your cast iron, by sprinkling it onto the cast iron and cleaning it with a rag. Coffee Maker And Coffee Mugs: Use it to clean the coffee maker by adding baking soda to the water and running it through the coffee maker. It will also help to remove coffee rings in mugs. Containers: Plastic storage containers can become smelly over time. Sprinkle some baking soda in them and soak them in hot water for a day or so to remove the odors. Dishcloths: Soak smelly dishcloths in 2 cups of hot water and 1 cup of baking soda. Dishwasher: Add a cup of baking soda to the bottom of your dishwasher and run it through on a hot water cycle to sanitize it. Add a Tablespoon to each cycle of the dishwasher to help clean dishes and remove hard water deposits. Hands: Deodorize hands by washing with baking soda. Oven: Clean the oven with 1 cup warm water and 2 Tablespoons of baking soda. Kitchen Fires: For a grease fire or cooking fire, grab the box of baking soda and sprinkle over the fire. It will put it out. Microwave: Use baking soda on a sponge to clean the microwave after something makes a mess. Simply pour some baking soda on a damp sponge and wipe it down. Pots And Pans: Soak burnt food off of pots and pans with ¼ cup of baking soda and cover with water. Boil for about 15 minutes and the burnt on foods should come right off. Remove grease on pans with baking soda paste. The bathroom has a lot of uses for baking soda. You can clean with it, use it on your body, and use it for your teeth. Here are some other great uses for baking soda in the bathroom. Clean Combs And Brushes: Soak combs and brushes in 4 cups of hot water and ½ cup of baking soda. Allow them to soak for an hour or more and then rinse well and air dry. Drains: Clear clogged drains by pouring one cup of baking soda in the drain, then add one cup of hot white vinegar. Allow to sit for about 15 minutes and run hot water down the drain. Baking soda in the drain will also help to keep them smelling fresher and flowing freer. Pour some baking soda down the drain every week to ensure that it stays fresh and free flowing. Sinks: Showers, And Tubs: Clean your sinks, tubs, and showers with baking soda. Use it just like you would use a scouring powder. Pour it in the sink and use your sponge to wipe it clean. Do the same for the tub and the shower. You’ll be amazed at the sparkle and it’s a fraction of the cost of scouring powder and won’t scratch your sink, shower or tub like scouring powder can. Toilet: Deodorize that smelly toilet and use baking soda to clean it. 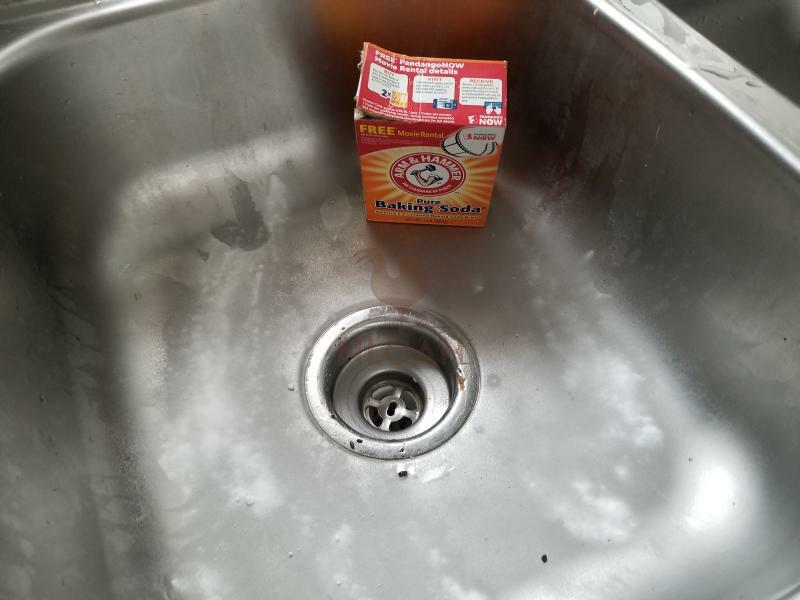 Allow a cup of baking soda to sit in the bowl for an hour, swish and flush. Toothbrushes: You can make your own toothpaste with baking soda and water. Just add enough water to make a paste. You can also clean your toothbrushes by soaking them in ¼ cup of baking soda and ¼ cup of water. Make your own laundry detergent with grated base soap and baking soda. You can grate a bar of fels naptha or ivory and add in one cup of baking soda. Blend well and use 1 Tablespoon per load of laundry. Your laundry will be fresh and clean. Deodorize diapers, smelly socks, pet bedding and other smelly things with 1 cup of baking soda to the load of laundry. Baking soda will boost the cleaning power of any detergent. Add in ¼ cup to a load of wash to boost cleaning power. It will also help to soften the clothes if you’re line drying. There are so many ways to use baking soda in and around the house to clean that you’ll be amazed. Many people don’t realize how easy it is to use it to do all sorts of things in cleaning. Here are some great ways to use baking soda in and around the house for general cleaning. Air Freshener: Make your own air freshener. All you need is some baking soda, and a few drops of your favorite essential oil. Place this in a small bowl or container and set it out in your home. Do this in every room. The baking soda will absorb the odors and the essential oil will gently diffuse the scent in the room. For a stronger scent, add more essential oil. Carpets: Instead of smelling that old carpet, sprinkle it liberally with baking soda and brush it in. Allow it to sit overnight and vacuum in the morning. Your carpet will smell fresh and clean. Chrome: Polish your chrome with a baking soda paste. Buff with a soft cloth and rinse. Fireplaces And Wood Stoves: Freshen your fireplace and wood stoves by removing ashes and placing a container of baking soda in them. Allow to sit for an hour or so and then remove the baking soda and use as normal. Flooring: Brighten and clean tiled floors, linoleum and more with ½ cup of baking soda in a bucket of warm water. Rinse well and allow to dry. Garbage Cans: Garbage cans can smell horrible. Scrub them with baking soda and allow to dry. Place some dry baking soda in the bottom and then your trash bag and your garbage can should smell fresh again. Hamper: Dirty clothes can take on an entirely new smell that is horrible. Put some baking soda in your laundry hamper to help absorb those smells. Marble: Mix 3 Tablespoons of baking soda in 4 cups of warm water and put in a spray bottle. Use this to clean marble. Shoes: Those smelly sneakers need some help! Sprinkle baking soda in them and allow to sit overnight. 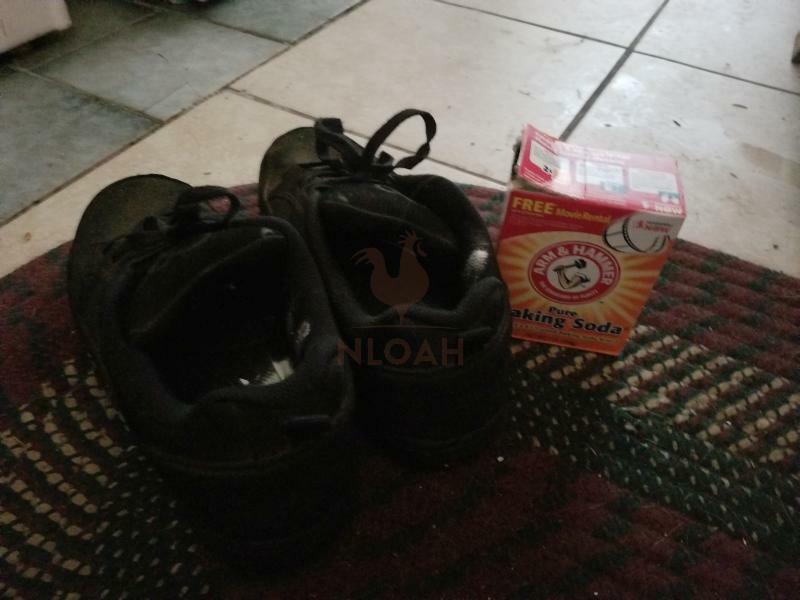 You can also make a baking soda paste to clean the outside of the shoe. Simply wipe on and wipe off with a damp cloth. Silver: Using an aluminum foil pan, place boiling water over the silver and then add in 4 to 5 Tablespoons of baking soda. Allow to sit for 1 to 2 hours. Rinse and polish with a dry cloth. You can also make a paste, buff the silver with that and then dry it with a dry cloth. Stainless Steel: Polish and clean stainless steel with a baking soda paste. Buff it well and rinse. Dry with a soft cloth. Upholstery: Clean and freshen upholstery with baking soda. Gently brush it in and allow it to absorb overnight. Vacuum in the morning. Vacuum Cleaner: Put some baking soda in your vacuum cleaner bag to freshen the room when you vacuum. Remove Water Rings: Water rings on furniture can be removed with a paste of baking soda. Use a soft cloth to buff it out. There are many great uses for baking soda when it comes to kids on and around the homestead. Clay: Make your own clay with 1 cup of cornstarch and 2 cups of baking soda. Add in just enough water to knead and some food coloring and you have clay to play with. Cradle Cap: Use on cradle cap to loosen and remove the flakes of skin. Be sure not to get it into the eyes. Diaper Rash: Add a few Tablespoons of baking soda to bath water to soothe diaper rash. Smelly Shoes And Laundry: Add in some baking soda to smelly shoes and the laundry hamper to help reduce odors. Pets can cause a myriad of odors in a home. Using baking soda to help combat those makes sense. Cats: Use baking soda to help combat odors in the litter box. Use around bowls to help keep bugs out. Dogs: Deodorize fur by brushing with some baking soda. You can also clean their teeth with baking soda and their own toothbrush. Use around the dog bowl to keep bugs out. Skunk Odor: If your pet has been “skunked” use 1 cup baking soda to 1 quart hydrogen peroxide and a Tablespoon of dish soap. Blend well and use as a shampoo on your pet. Allow to sit for about 20 minutes and rinse well. Repeat as needed. Clean: Clean concrete, grease, simply use baking soda and a scrub brush. Ideal for driveways, garages and more. Grills: That sticky mess on your outdoor grill can be cleaned easily with some baking soda and a scrub brush. Dampen the grill, sprinkle the baking soda on the grill and allow it to sit for 24 hours. Use a scrub brush on it the next day and rinse well. Repeat as needed. Patio: Your patio, and areas around it can be sprinkled with baking soda and rinsed well. Pillows: Many people keep pillows on the patio set. These are typically a plastic or vinyl. Use a baking soda solution on these to keep them clean and fresh. If these are stored in the winter be sure to seal them in plastic that has baking soda in it. Sidewalks: Baking soda helps to remove ice so sprinkle some on the ice in the wintertime. It can also remove weeds in the sidewalk and driveway. Just sprinkle liberally with baking soda and they’ll die. Many people don’t realize how valuable baking soda can be in a garden. Animals: If the animals are dining on your salad fixings faster than you can cut it, sprinkle some baking soda on it. Flower Arrangements: If you sell flower arrangements, or simply have a few in your home, you can put 1 teaspoon of baking soda in the water to help keep them fresher longer. Ice Remover: If you have paver’s, stepping stones, or a walkway through your garden they can get slick. Baking soda will remove the ice in the colder months. Tomatoes: If you want sweeter tomatoes, sprinkle some baking soda around your tomato plants. You’ll have amazingly sweet tomatoes every time. Ants: Whether you have ant hills, or just some ants in your home you’ll love this idea. Just follow there trail and sprinkle some baking soda on it. They won’t take that trail again. Cockroaches: As anyone who lives in the tropics knows, cockroaches can be a nuisance. Thankfully, we know that cockroaches don’t like baking soda so sprinkle on thresholds, underneath of sinks, around windows and door frames. Prepare the farm equipment and other farm vehicles with baking soda. Keep it clean inside and out. Battery: Clean the battery and prevent corrosion by wiping the terminals with a baking soda paste every few months. Use a clean dry rag to apply to the posts. Allow to sit, and remove the paste with another clean dry cloth. Freshen: Freshen interiors that smell musty or otherwise. Sprinkle baking soda on floor boards and other areas of the interiors of farm equipment. Windshields: A solution of 1 cup baking soda and 2 cups water wiped on the windshield will repel rain. Use in barns to put out fires. Restore paint brushes to their former glory by soaking them in a baking soda solution. Use as an air freshener in and around animal stalls. Fill nail holes with baking soda mixed with white toothpaste. Allow to dry. Make your own soft scrub with baking soda, coarse salt and some liquid dish soap. Mix to a paste consistency and use as soft scrub in and around the homestead. Polish silver in and around the homestead. From silverware to silver belt buckles and everything in between. Use 3 parts of baking soda with one part of water to make a paste. Gently rub into the silver and use a soft cloth to buff it off. Mr. Magic erasers are expensive. Use baking soda on a damp sponge to erase marks on walls, floors and tile. Clean vinyl tablecloths, shower curtains, seat cushions and more. Simply apply baking soda to a damp sponge and wipe it down. Prevents mold and mildew and will leave the vinyl smelling clean and fresh. Smelly gear can really wreck havoc on the olfactory senses. Wipe down smelly tack gear, sports gear, and tractor seats with a damp sponge and some baking soda. 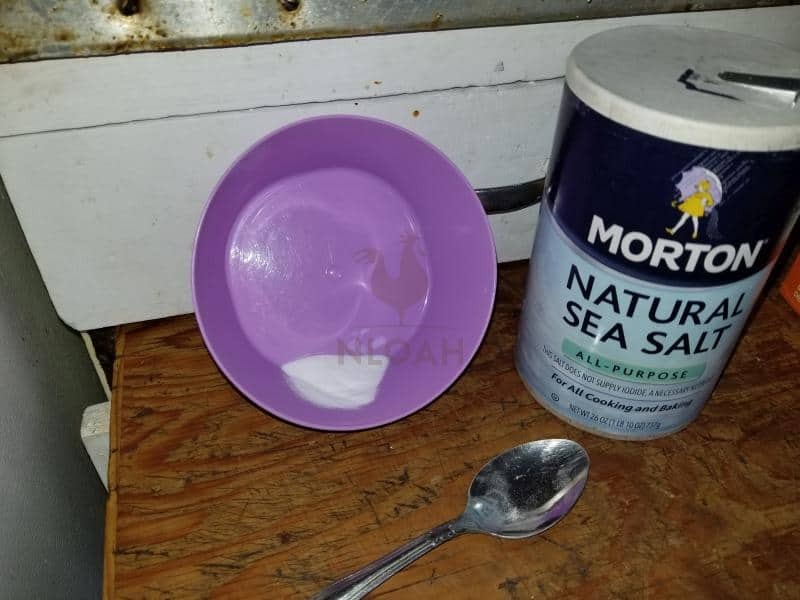 For heavily soiled or smelly items make a paste with 3 parts baking soda and one part water and allow to sit on the item for about 30 minutes. Wipe clean with plain water and a soft cloth. If your homestead has a recycling bin you already know that those empty bottles and cans can begin to smell. Sprinkle some baking soda into the recycling bin periodically to keep it smelling clean and fresh. Lunch boxes that go out in the field, tool boxes and other items can get smelly. Sprinkle some baking soda into them periodically to keep odors down. Periodically wipe them down with a damp sponge and baking soda. Use as a cleaner for everything in and around the homestead. This is a great list! I did not know you can use baking soda on pets for skunk smell. As a fairly new homeowner in the country, I will probably need that this year! Amanda, There are so many great uses for baking soda around the homestead that I buy it by the armful at least once a month when I venture off our hill and into town to the store. The skunk stink use is one of my favorite ways to use baking soda, it is truly far better to remove the smell than tomato juice. I use baking soda instead of shampoo. Haven’t used shampoo I my hair in years. The greasiness is gone. I don’t have to wash my hair every day. My scalp feels healthier than it’s ever been. I stopped using shampoo a month or so ago and love how my hair looks and feels now. I use baking soda about 101 ways around our homestead, but have not added it to my hair cleansing routine yet – but always put it in my homemade tooth paste or powder. Not washing your hair every day sure takes some getting used to, doesn’t it? At first I was sure my curly/wavy hair would become matted horribly, but the complete opposite happened and my curls look better than they ever have before.